Maya HTT is a forward-thinking firm specializing in software-based 1D to 3D simulations. Our analysis has helped architecture, engineering and construction (AEC) professionals optimize and test their designs in terms of sustainability, compliance, safety and cost-efficiency. Find out today how our validated software solutions can help AEC professionals like you. The ANSI/ASHRAE Standard 55 defines thermal comfort as a “condition of mind which expresses satisfaction with the thermal environment.” The official standards can recommend a subjective evaluation to determine if a building provides its occupants with optimal thermal comfort. However, a subjective evaluation is not a viable option if a building is still in its design stage, and a subjective evaluation is not enough when there is a need to meet a very specific thermal comfort level. Conference room, data centers, archive vaults, server rooms, white rooms, healthcare environment, museum, manufacturing plants are examples where thermal comfort is crucial. Maya HTT’s tool can leverage a 3D BIM model or work with preliminary geometry to assess thermal comfort in a building. Simulations allow users to view fluid velocity, temperature maps, PMV, PPD, mean radiant temperature, air change effectiveness, age of air and more. As an example, Maya HTT used this technology to study a major federal department’s energy conservation measures under the ASHRAE TC9.9 Standard. The created simulations helped optimize thermal comfort while reducing energy consumption by eliminating hot spots and cold spots. The energy savings covered the cost of the analysis within three months. The 2017 edition of the ANSI/ASHRAE Standard 55 uses three methods to determine if a building is compliant. In simple situations, a graphic method can be used. Most cases require the use of an analytical method, and some buildings can meet compliance standards by using a method that relies on elevated air speed. In that case, relying on computing power to thoroughly analyze factors such as thermal comfort, age of air and mean radiant temperature is an approach that makes sense to ensure maximum accuracy. This type of analysis can also incorporate human factors such as Predicted Mean Vote and Predicted Percentage of Dissatisfied with each configuration that is tested. Maya HTT’s complete solutions allow AEC professionals to complete a thorough analysis of different scenarios and meet or exceed ASHRAE Standard 55 compliance while delivering optimal comfort to the building’s occupants without having to physically test all different scenarios in the real world. The presence of contaminants in indoor or outdoor air can be difficult to predict or detect unless advanced testing equipment is used. A 3D simulation is an economically viable alternative since it requires no physical installation and can be done before the construction occurs. This method looks at factors such as convection or radiation heat transfer effects. It can determine how contaminants would spread in a building or environment by solving thermal and flow equations. Users can then use the simulations to design a new system that would optimize air quality and minimize construction cost. This solution was implemented to improve thermal comfort and reduce contaminant concentration at the train maintenance center inside of the Pointe-Saint-Charles station. The HVAC configuration had to be thoroughly tested to see if it was compliant with ASHRAE 62.1 Standard. 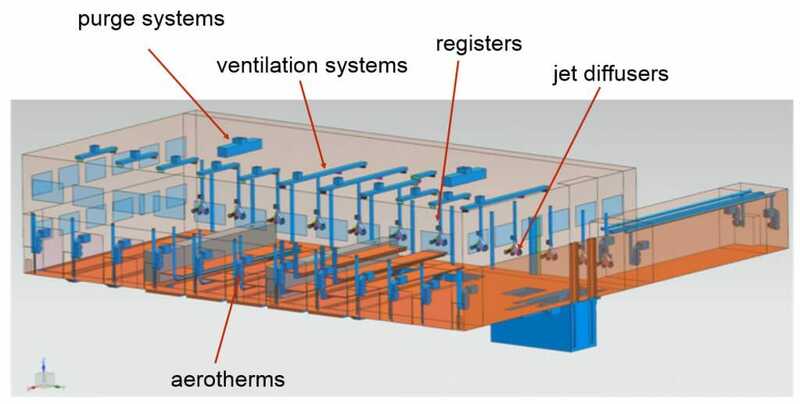 The advanced 3D simulations created by the qualified people at Maya HTT revealed that parts of the HVAC system didn’t meet these compliance standards. The data was used to validate a new optimized HVAC system that is more efficient with less equipment, besides meeting compliance standards. How would smoke spread through a building in case of a fire? This scenario is extremely difficult and expensive to test in real life. However, fire safety is a crucial element of a building design. 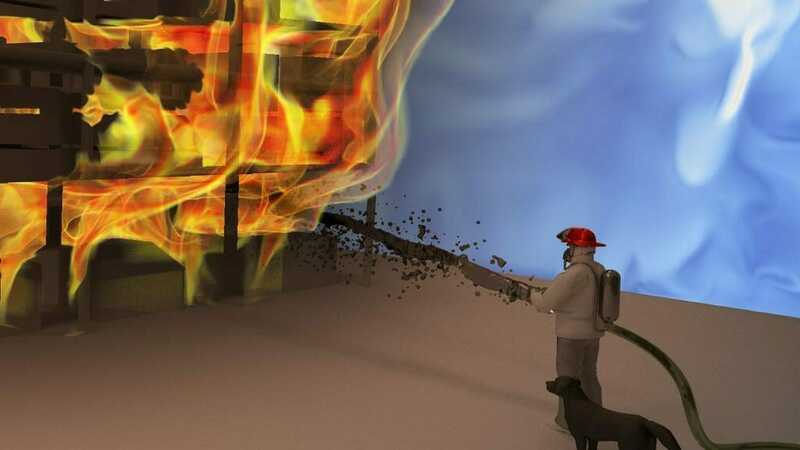 Using 3D computational fluid dynamics (CFD) technology is the most cost efficient way to simulate what would happen in case of a fire. Maya HTT has experience with testing emergency systems with 3D CFD simulations, replicating how smoke particles would travel in a building in case of a fire and per example making sure evacuation signs and exit routes would remain visible in this scenario. Plus, the software used are available for purchase. Maya HTT has more than 30 years of experience in space applications. Simulating the sun position is a specialty at Maya HTT. Designing a LEED-certified building or want to meet the standards set by a different sustainability rating system, engineers will have to look at how the sun affects thermal comfort throughout the day. Detailed simulation can be created that will give a precise idea of how the weather and sun position will affect thermal comfort throughout the day, how much energy the building will gain or lose and whether window glazing will be a solution or an issue. Natural ventilation is better than an HVAC system for air quality and reduces energy consumption. However, building a functional natural ventilation system can be extremely complex. Maya HTT can help architects and engineers complete an in-depth analysis of a natural ventilation system so the design can be optimized. The 3D simulations that are created will give an accurate picture of air quality and thermal comfort. Another common use of this technology is the analysis of how well a building will insulate its occupants from noise. This is especially important in buildings that rely on natural ventilation since walls will be replaced by high-performing acoustic glazed panels. Conventional calculation tools aren’t sufficient to obtain an accurate R-value for a building with a complex geometry. In fact, the R-value can be overestimated by as much as 50 percent (1363-RP report from Morrison-Hershefild and ASHRAE) with the use of traditional tools. Maya HTT provides advanced 3D simulation solutions to predict condensation accurately regardless of how complex the building geometry is and regardless of the building envelope materials used. 3D simulations are use to assess heat transfer and the thermal resistance of the building envelope components accurately and to simulate how weather and temperature conditions will impact condensation and moisture. These advanced simulation techniques allow engineers and architects to get an accurate value of the total glazing thermal performance as well as the condensation resistance of a building prior to the construction stages. Users obtain several values through these simulations, including the U-value, R-value, SHGC, SC and VT. Maya HTT delivers industry-leading 3D modeling solutions by developing Simcenter 3D Thermal Flow for Siemens PLM. This is the software used by Morrison Hershfield to study over 40 different North American buildings and compile the ASTM-1363 report that revealed a major flaw in the traditional calculation tools used to assess the R-value of a building. Maya HTT has applied these advanced modeling techniques to improve the new curtain wall of the tower of the Montreal Olympic Stadium. The purpose of this study was to determine where condensation would happen on the curtain wall and to determine the temperature range that would cause condensation to form. The simulations were also used to optimize the HVAC system of the tower and increase thermal comfort. Maya HTT helps you meet the ASHRAE Standard 209-2018. The purpose of this new edition of Standard 209 is to foster the adoption of simulation-aided design throughout a building’s modeling process. With previous standards, energy efficiency was introduced toward the end of the modeling process. The new standard calls for the implementation of a seven-phase modeling cycle. Software-based simulations are used at each phase of the design process to assess how design decisions will impact the energy efficiency of the building. The outcome of each simulation is then used to optimize the design and go through a new iteration of the design cycle if needed. There are three additional modeling cycles implemented during the construction and post-occupancy phase to track energy efficiency. The purpose of these additional modeling cycles is to generate data that will help with design decisions in the future. Maya HTT can assist you throughout the design, construction and post-occupancy phases by ASHRAE Standard 209-2018-compliant 3D models. 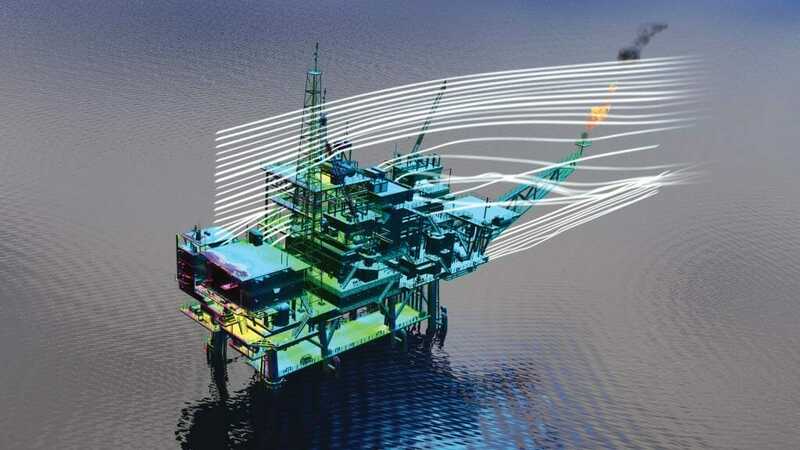 Maya HTT uses advanced simulation techniques such as free surface flow modeling to assess how waves and wind will interact with a structure built in a coastal location. 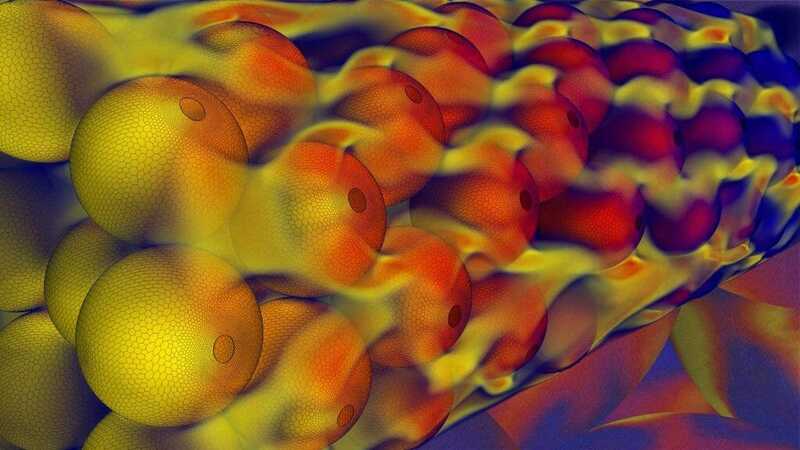 If factors such as vortex shredding or vibration issues linked to the resonance caused by the natural frequency of a structure are a concern, simulation can use advanced turbulence models during the design stage of the structure. 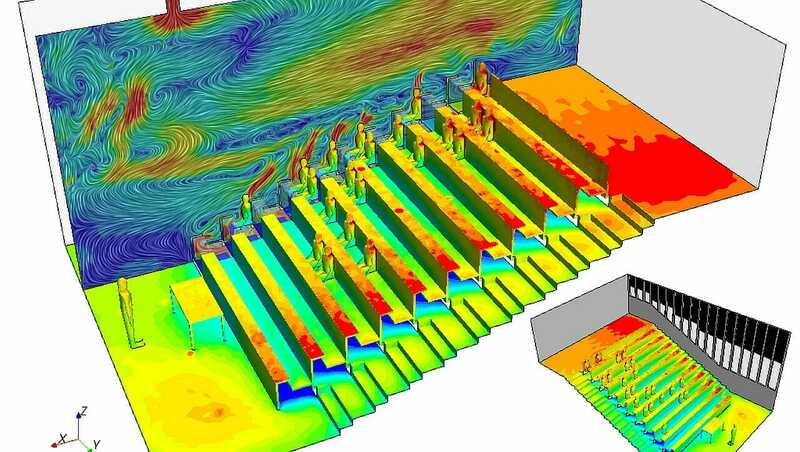 Software-based wind simulation will make a building safer. Users can simulate how a structure such as a high-rise will be impacted by wind speeds, since a sharp increase in wind speed around the corners of a tall structure can represent a risk for pedestrians and vehicles. Identifying the loads and forces applied by winds is crucial within high-rise and lightweight structures. Maya HTT loves new challenges. Thermal comfort, air quality, ASHRAE standard compliance and acoustics are only a few examples of how Maya HTT have helped AEC professionals in the past. Specialist in using advanced 3D simulation tools and also expert for creating new simulation tools, Maya HTT can help test and improve any architectural and engineering design and understand any mix of complex factors. Contact us today to learn more about how 3D simulation can help you with all your building Architecture, Engineering and Construction needs.